Mankind can’t resist to change nature. We want to feel home even in the depth of a forest, we are scared of being lost, alone, forgot, of disappearing. This thing tells a lot about our weakness. 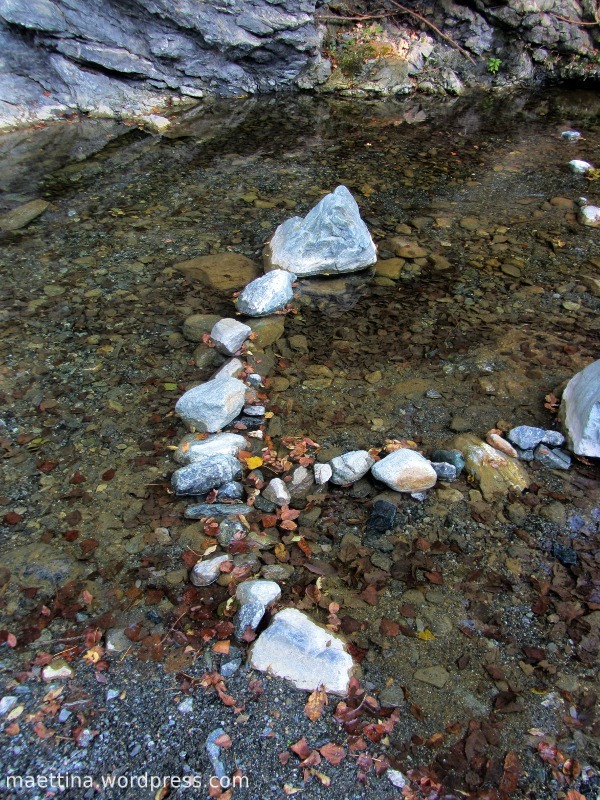 We create things for others to leave a sign of our passage and to make them come back. I find this sweet. Autumn this year whispered its first words in my ears from the water. I love its colours, I found them in leaves, stones and a little stream that soon will grow again in a river. 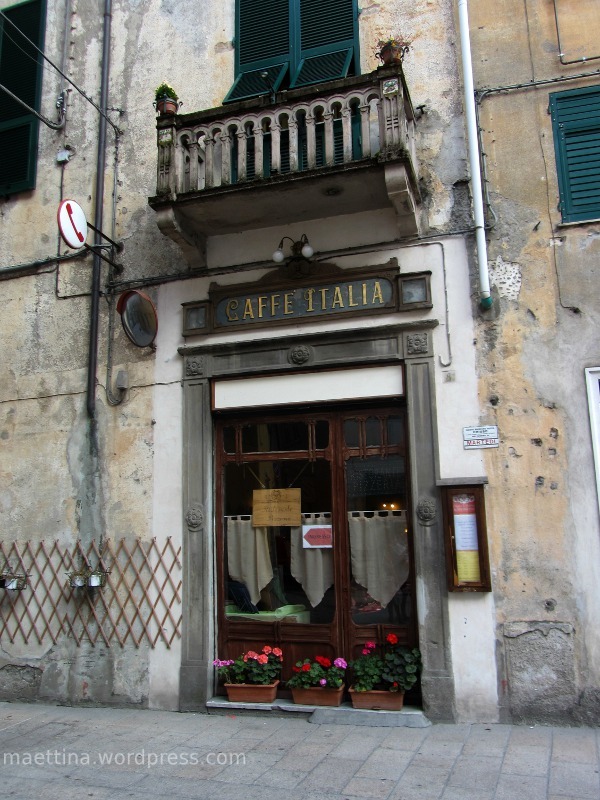 Last sunday we went to a place I really love: Voltaggio is a little country town between Genova and Alessandria. It’s not far from my grandmother’s house, in fact I love it because when I was little my grandfather was taking me there often. One of the particularities of the town is a sulfur spring right in the middle of it’s ancient part. It was already known in roman times, with the name of Aquae Octavienses. The other name written there “êgua di surfi”, means sulfur water in our dialect, Ligure. The spring is inside an artificial cave and in the centre of a little, peaceful park where sometimes in the past I went to draw an write all by myself. Every time I go there my grandmother gives me containers to take this water back home, since it seems, despite of the bad smell, it’s very good for healt. 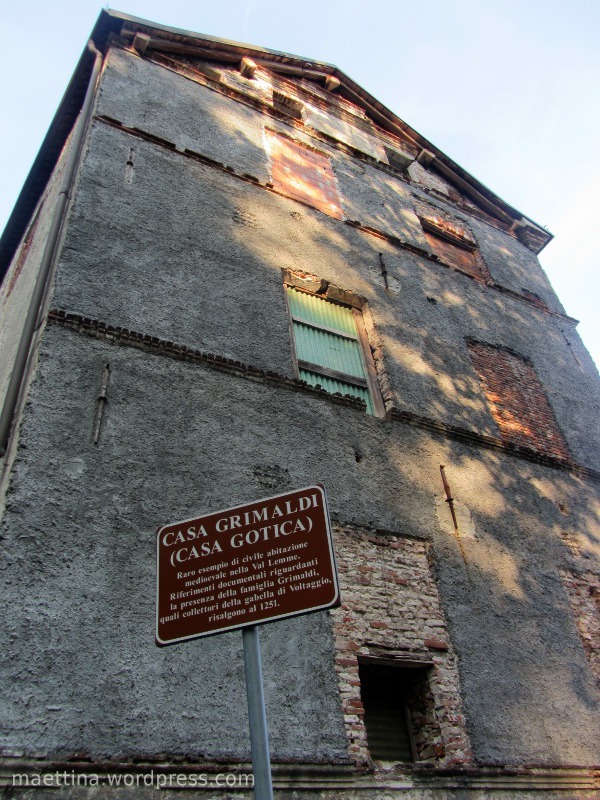 Near the spring there’s a very ancient house, Casa Grimaldi, that seems to be the most ancient building in all Lemme Valley. On the sign you can find out of the house (you can see it in the photo) it’s dated around 1251. It was the house of a family that was collecting fees in the territory.